Bracelet 6.7x5cm (2.5''x2''), with 30x16mm oval link, silver plate. 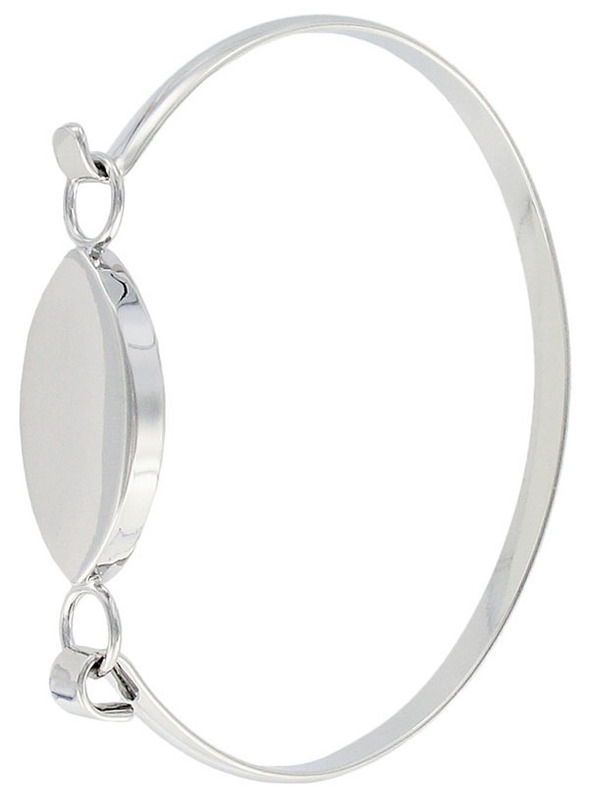 Frabels Inc.
Bracelet 6.7x5cm (2.5 inch x 2 inch), with 30x16mm oval link, silver plate. (SKU# BR695/SPL). Sold individually.